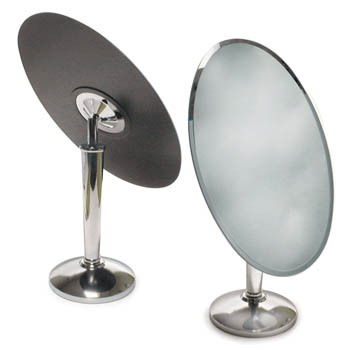 This beautiful rimless mirror with beveled edges stands 18" high. Mirror tilts back a full 45 degrees. Chrome.